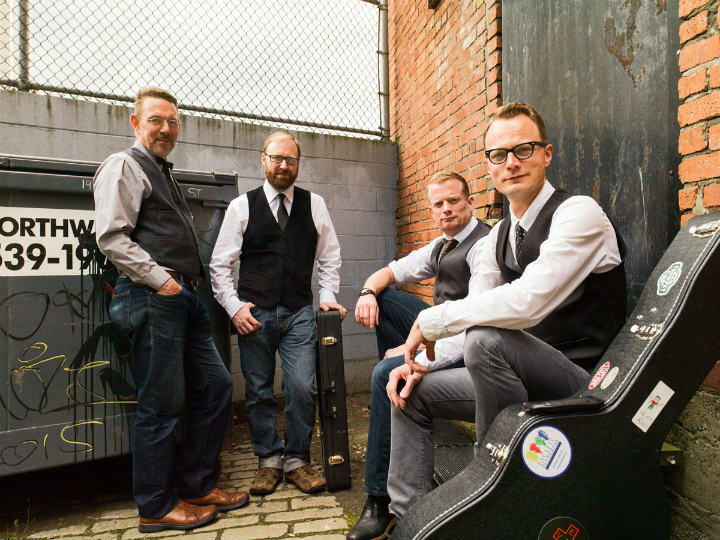 The Lonesome Town Painters are a tried-and-true, bona fide bluegrass band hailing from Vancouver, British Columbia. They have a look, style and sound that harkens back to the raw and ragged edge of the genre. Their soaring harmonies and driving instrumentation have come to define their spirited performances, while their honestly written originals pay tribute to golden era pioneers. Playing an eclectic mix of songs about love, heartache, prison, and the odd gospel number, this hard-hitting quartet would be equally at home in the barroom on Saturday night or the church house on Sunday morning, comfortable treading that fine line between perdition and salvation. Patrick Bartel (banjo, vocals), Jeremy Freeman (mandolin, vocals), Fred Beach (bass, vocals), Angelo Eidse (guitar, vocals). Admission: suggested donation $7 general, $5 for VBA members and open stage performers.